The Bacardi USA Political Action Committee left blank two sections of an amended statement of organization, , according to the Washington Post. The careless act prompted the Federal Election Commission to send the group a reminder note Friday that it needed to include addresses for its treasurer and affiliated banks. In the first quarter of 2014, Bacardi USA made just one donation – $1,000 to Sen. Ron Wyden (D-Ore.), who took over as chairman of the powerful Finance Committee this year. The PAC, in 2013, gave that amount to Sen. Ted Cruz (R-Texas), Sen. Marco Rubio (R-Fla.), Rep. Dave Camp (R-Mich.), Sen. Heidi Heitkamp (D-N.D.) and to a victory fund for Rep. Debbie Wasserman Schultz (D-Fla.), who is also the Democratic National Committee chairwoman. Bacardi’s political arm gave $2,500 to Rep. Ileana Ros-Lehtinen (R-Fla.), once the chairwoman of the House Foreign Affairs Committee and the first Cuban American elected to Congress. Bacardi was founded in Cuba, but left over family opposition to Fidel Castro. Read the full story on WashingtonPost.com. This entry was posted in Campaign News on April 23, 2014 by tony. Chances are only the most fervent of whiskey drinkers has heard of The Wild Geese Company. At least that appears to be the bet spirits Goliath Barcardi was making when it recently launched a new “untameable” advertising campaign that the much smaller boutique distillery claims infringes on its trademark rights, Buzzfeed reported. 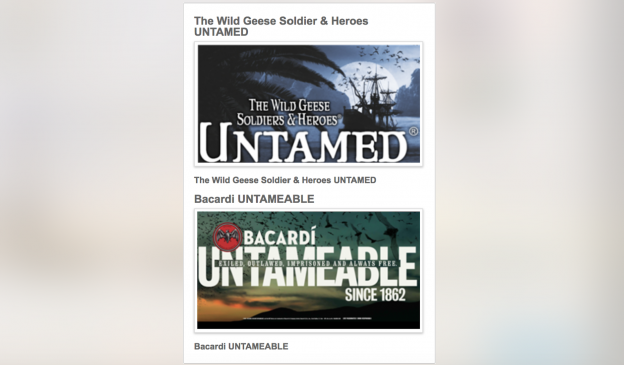 Wild Geese holds the trademark to the “untamed” slogan, and, in a recently filed complaint with the U.S. Patent and Trademark Office, claimed Barcardi’s new campaign too closely resembles its own and violates its intellectual property. Though trademark fights are common in the spirits, beverage, and other industries, Wild Geese is taking its dispute with Bacardi to another level. Andre Levy, the chairman of parent company, Avalon Group, has been meeting with congressional staffers and has hired a lobbying firm to push for a change to the laws dictating U.S. intellectual property litigation. Namely, Levy is sick of “the little guys” having to back down in lawsuits with major brand competitors that have infinitely more resources to throw at a lawsuit and wants to level the playing field. A representative for Bacardi declined comment for this story. See the full story on Buzzfeed.com. 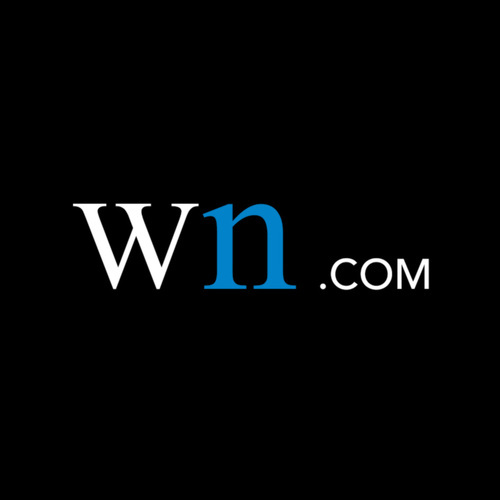 This entry was posted in Campaign News, Uncategorized on April 17, 2014 by tony. 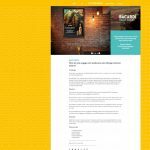 Brand owner Avalon Group claims Bacardi’s new global marketing campaign, which was launched in November last year, is a “cut and paste” of the Untamed trademark owned by The Wild Geese, which has been registered in over 100 markets worldwide since 2011, the SpiritsBusiness.com reported. The British Virgin Islands-based group is combating Bacardi’s registration of the Untameable trademark in several markets, and has successfully halted its registration with the US Patent and Trademark Office (USPTO), which according to Avalon, had neglected to consider The Wild Geese trademark. Now Avalon has launched the BacardiControversial.com website, Facebook page and Twitter hashtag in a bid to highlight what it claims are “bullying tactics” used by large corporations to “steal” smaller companies’ ideas. “We want to make a difference and highlight what is happening all the time and come up with a creative solution that will actually stop this, and that’s what we’re trying to do with the Bacardi Controversial campaign,” Levy said. For the full story visit SpiritsBusiness.com. This entry was posted in Campaign News on April 15, 2014 by tony. Avalon Group, the makers of Wild Geese Irish whiskey, has launched an online campaign over claims that Bacardi‘s latest global advertising campaign is too similar to the marketing for its own brands. Bacardi launched its campaign ‘Bacardi Untameable’ for its namesake rum brand in November last year. However, British Virgin Islands-based Avalon, claims that it has had the trademark ‘Untamed’ registered around the world since 2011. Avalon says it has used the term “Untamed” to market its full portfolio – including Untamed Revolutionary Rum, Untamed Vodka and The Exiles Gin – since 2009. Avalon has launched a website – Bacardi-Controversial – flagging up its concerns, including a Facebook page and Twitter hashtag. The company has also taken the issue up with the US Patent and Trademark Office. 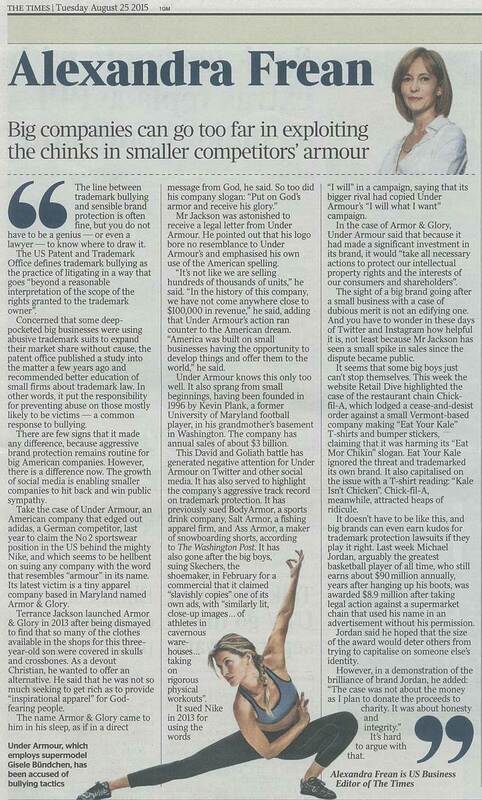 Speaking to just-drinks today (14 April), Andre Levy, chairman of Protege International, which handles the marketing of Avalon’s brands, said: “They (Bacardi) knew about us and set out to emulate what we’ve done. When contacted by just-drinks today, a Bacardi spokesperson declined to comment. Read the story on just-drinks.com. This entry was posted in Campaign News, Uncategorized on April 14, 2014 by tony. Washington, DC – April 10 – Controversy surrounds Bacardi Ltd.’s “Bacardi Untameable” (sic) advertising campaign very recently launched in the U.S. and world-wide in support of its rum, which is facing declining U.S. sales. The Wild Geese Company, owned by Andre Levy and his wife Mairade Levy (nee Kelly) claims that the campaign is remarkably similar to its campaigns that tell the story of the Wild Geese – that extraordinary band of Irish men and women who left Ireland in 1691 in exile and whose descendants now number over 80 million world-wide, 40 million of whom live in the US many holding prominent positions. The Wild Geese Company has been using Untamed in telling the story of the Untamed Spirit of the Irish Diaspora since 2009 and registered it in the US and world-wide in 2011. In 2011, “Untamed” became a registered trademark in the U.S. and around the world. Bacardi now seeks to register “Bacardi Untameable” with the United States Patent and Trademark Office (PTO). The Wild Geese Company is challenging Bacardi’s application. The Wild Geese Company today announced the launch of an online campaign at www.bacardi-controversial.com. 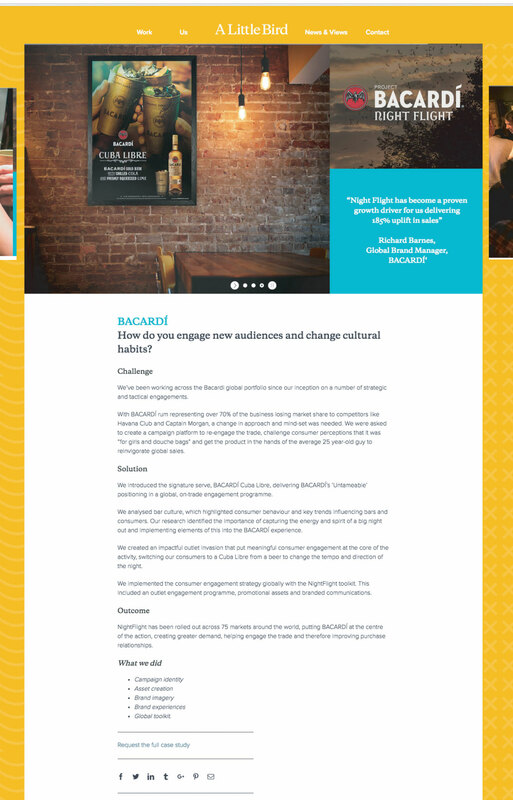 Visitors to the online campaign headquarters can compare the two campaigns and see examples of other instances of questionable Bacardi conduct. In addition, website visitors will be encouraged to write their Senators and Representatives calling on Congress to protect entrepreneurs from Big Companies like Bacardi. There is also a campaign Facebook page (www.facebook.com/bacardi.controversial) and a twitter feed (@BacardiControv). The Wild Geese Company’s products include The Wild Geese Soldiers and Heroes multi award-winning Irish whiskey and recently a multi–award winning Rum, as well as Untamed Revolutionary Rum, Untamed Vodka and The Exiles Gin amongst others. This entry was posted in Campaign News on April 14, 2014 by tony. Jack Daniels is another large liquor company at the center of controversy after it had reportedly changed liquor laws to take advantage of smaller competitors. Jack Daniels’ parent company Brown-Forman pushed for a bill that requires all Tennessee whiskey to be fermented from a mash containing at least 51 percent corn, filtered through maple charcoal and aged in new oak barrels, according to Fox Business. This young law hurts small distillers who cannot afford to produce their product in these expensive barrels. Phil Prichard, president and founder of Prichard’s said the law “ stifles creativity” and puts all the competition in one box. For more information, read the Fox Business article, here. This entry was posted in Campaign News on April 3, 2014 by tony. The Explorers Club is the latest victim to have its name appropriated by a larger liquor brand. 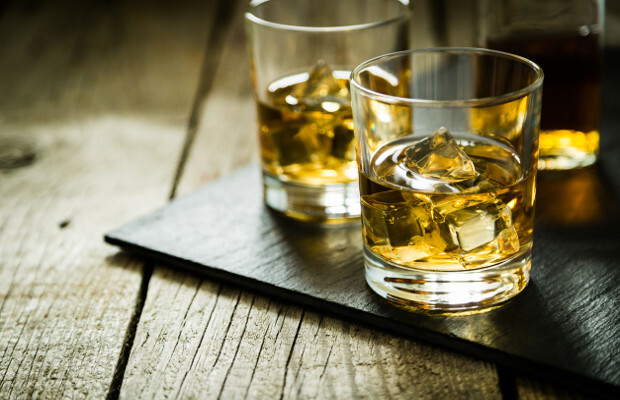 The 120-year-old club, which counts U.S. astronaut Neil Armstrong and Buzz Aldrin as notable members, recently filed a lawsuit against Diageo’s Johnnie Walker for allegedly stealing its trademark and using it for its Explorers’ Club whisky range, according to The New York Post. The non-profit club, based in Manhattan, is an international professional society that promotes the scientific exploration of land, sea, air, and space. Diageo didn’t just steal the Explorer Club’s name, they modeled its airport tasting kiosks after the interior design of the club with wood paneling, beamed ceilings and a standing globe. Before filing the lawsuit, the club, which owns the trademark on “The Explorers Club,” sent a cease-and-desist letter to Diageo last spring. It filed suit after negotiations with Diageo broke down, according to the The New York Post. The civil suit says Diageo’s use of the Explorers Club name is likely to deceive, and in fact already has deceived, the public into believing that Diageo’s products are affiliated with The Explorers Club. For more information, read the New York Post article, here. This entry was posted in Campaign News on April 1, 2014 by tony.